Vampire SeLTiC conquered the 1st Age in 1030. Gaelic MrEricScott conquered the 2nd Age in 1014. Viking SeLTiC conquered the 3rd Age in 1006. Saxon MrEricScott conquered the 4th Age in 1004. Gaelic MrEricScott conquered the 5th Age in 1011. Norman Nemesis conquered the 6th Age in 1019. Viking perrin conquered the 7th Age in 1007. MoonRunner Aeolous conquered the 8th Age in 1041. Saxon Frenzi conquered the 1st Age! Saxon Frenzi conquered the 2nd Age! Saxon Masago conquered the 2nd Age! Saxon Mystik conquered the 3rd Age! Saxon Tiklmelmo conquered the 3rd Age! Norman StarMom conquered the 4th Age! Norman Kioras conquered the 5th Age! Norman gopher_ conquered the 5th Age! Norman stallion_ conquered the 6th Age! Mongol MuseS conquered the 7th Age! Mongol Kheephuor conquered the 8th Age! Saxon Jester^ conquered the 9th Age! Mongol Hitsnorth conquered the 10th Age! Saxon Dracula`` conquered the 11th Age! Saxon StarBrit3 conquered the 12th Age in 1055! Visigoth Hitsnorth conquered the 13th Age in 1025! Norman Vhaeraun conquered the 14th Age in 1081! Visigoth Hitsnorth conquered the 15th Age in 1031! Norman ^SlayuR^ conquered the 16th Age in 1083! StarRunner WoodElf`` conquered the 17th Age in 1034! Saxon Perseus` conquered the 18th Age in 1040! Gaelic StarBrit3 conquered the 19th Age in 1045! Saxon MorpheusX conquered the 20th Age in 1027! Norman Lithium`` conquered the 21st Age in 1079. MoonRunner TheWonder conquered the 22nd Age in 1032. Viking Veliki conquered the 23rd Age in 1061. Moor bug2000 conquered the 24th Age in 1047. MoonRunner SGold`` conquered the 26th Age in 1033. Mongol Perseus`` conquered the 27th Age in 1030. Mongol StarBrit3 conquered the 28th Age in 1022. SunRunner Pharaohs conquered the 29th Age in 1036. Norman EliteLord conquered the 30th Age in 1023. SunRunner Miztah conquered the 31st Age in 1034. Gaelic MuseSBW conquered the 32nd Age in 1027. Visigoth Mu2eS conquered the 33rd Age in 1038. Norman Veliki conquered the 34th Age in 1059. Gaelic MuZeS conquered the 35th Age in 1050. StarRunner ROMANY conquered the 36th Age in 1059. Viking SeLTiC conquered the 37th Age in 1042. Gaelic Rapses conquered the 38th Age in 1049. Gaelic AwkAngeL conquered the 38th Age in 1049. Norman ROMANY conquered the 39th Age in 1064. Magyar Frenzi conquered the 40th Age in 1057. Gaelic AwkAngeL conquered the 41st Age in 1049. Vampire Rapses conquered the 41st Age in 1049. Moor g3ik0 conquered the 42nd Age in 1019. Magyar Baggz conquered the 43rd Age in 1043. MoonRunner feta conquered the 44th Age in 1037. MoonRunner ROMANY conquered the 45th Age in 1056. MoonRunner WoodElf conquered the 46th Age in 1022. MoonRunner MuseS conquered the 47th Age in 1053. MoonRunner ^Slayur^ conquered the 48th Age in 1028. Vampire Mandifer conquered the 49th Age in 1055. MoonRunner SeLTiC conquered the 50th Age in 1019. 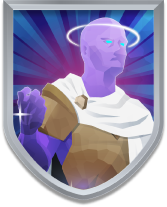 Saxon DarkDaze conquered the 51st Age in 1013. Vampire SeLTiC conquered the 52nd Age in 1032. Mongol Mandifer conquered the 53rd Age in 1028. Viking ChOpOnOp conquered the 54th Age in 1021. StarRunner Trinit conquered the 56th Age in 1077.